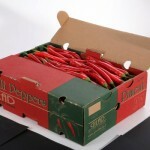 Hot chili peppers in a 40X30X12 box. Uniform fruit length and color. Breaking color to 90% color. Light bend is allowed, not more then 1 cm arch. 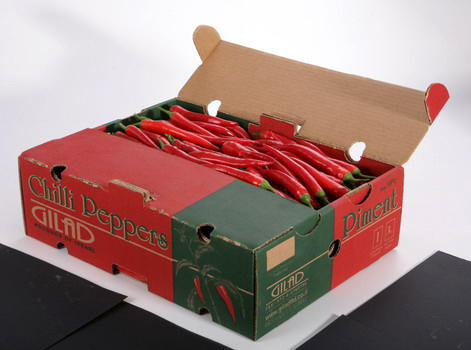 Clean and free of signs including scaling rinse & spray residues. 3 covers (5,10,17) 4 corners raped with 4 bands.